Ready to begin your food business journey? Every franchisee needs a successful franchisor. Chaat Ka Chaska, a venture of Brewbakes - one of India’s leading and successful food business franchisers, is now offering street food and Chaat franchise business opportunities in India. If you are one of those minds who is keen on doing food business and get success in the business, then Chaat Ka Chaska, a chat franchise business model, is just the right opportunity for you to invest into. No one can just resist the flavors of fresh and local street foods. Well, street foods are must for the backpackers to eat outside on a budget however, they are unhygienic or not so healthy. Thus, people prefer restaurants for eating chaat or any other kind of street foods. And this is the reason why investors are investing in a chaat franchise business. If you are too looking for the best food franchise in India then Chaat ka Chaska, a chaat franchise model is the best partner for you. 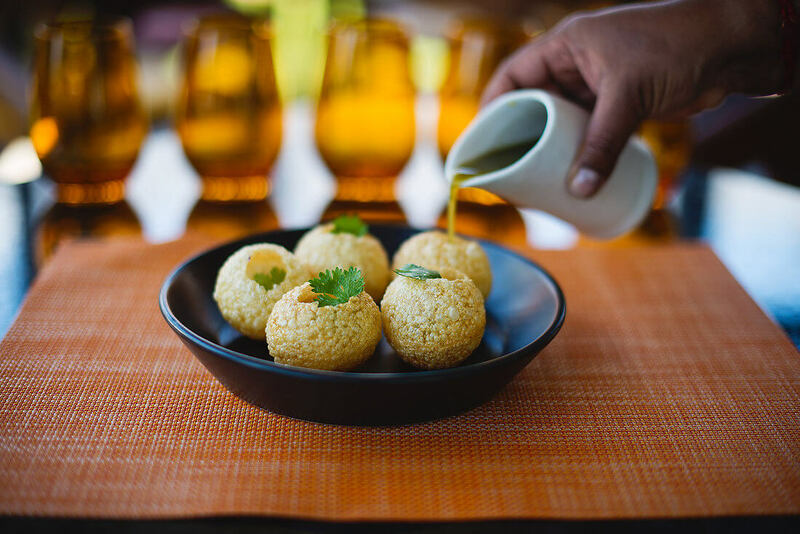 Chaat Ka Chaska is one of the most phenomenal street food brand serving lip-smacking foods such as Panipuri, Sev Puri, Bhelpuri, Tikki, Tikki Chaat, Dahi Bhalle, and many more. The street food business with Chaat Ka Chaska would be a very safe business, because street food business is experiencing tremendous growth in India as foodies want ready to serve foods such as Chaat, Panipuri, Sev Puri, Bhelpuri, and others. If you are looking for India’s most affordable food franchise business opportunity, then Chaat Ka Chaska is the right fit for you. Started with low investment, our Chaat franchise model ensures for high profit with good margins. As a franchise partner with us, you can generate a good return on investment. From the procurement of raw materials to an operation to training, we will provide you total support in establishing your own Chaat franchise outlet. “Chaat” is one of the most popular street foods in India. The popularity of street food, especially in India, is known by everyone. “WOW yummiest", “yummyyyy”, and “yaar it’s too good” are most common reactions when Indian people hang out over the street food. Just hearing the word “Chaat”, our mouth fills up with water. Chaat is indeed mouthwatering, isn’t it? But, street food is also notorious for being unhygienic. This is one of the main reasons, many folks avoid eating street food despite having a strong desire. And that’s all, folks! Why Chaat Ka Chaska is opened.